One thing I worried about on my long late-summer through autumn voyage up the east coast was hurricanes. The daily afternoon thunderstorms were trouble enough. What in the world would I do if a hurricane had my name on it? But no hurricane ever came. They all went in different directions that year. They left me alone. But once we got home it was another matter. 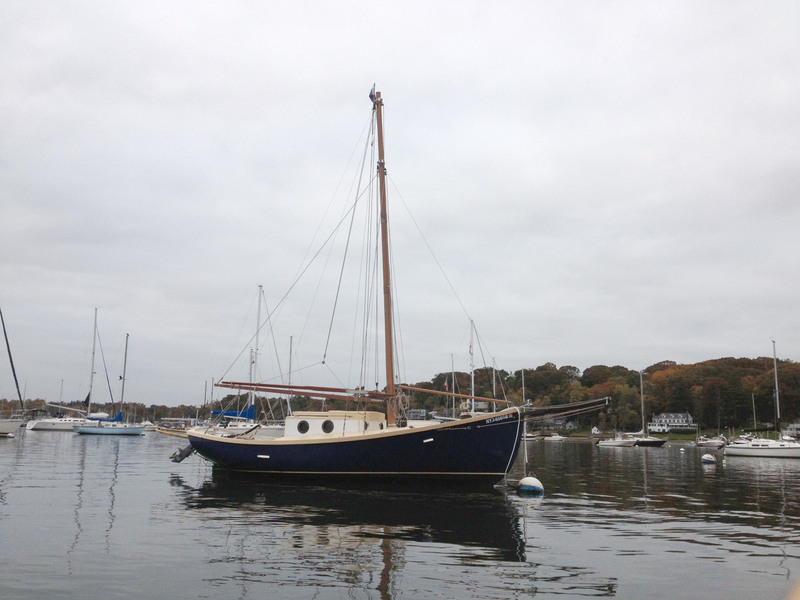 For the last two years, the fall sailing season has been abruptly ended by a hurricane. First Irene, now Sandy. It doesn't seem fair, but weather doesn't know about fair, apparently. I always say that a boat owner is 20% captain and 80% crew. (That's with experience. Without experience, it's more like 10%/90%.) The Blue Moon's captain went aboard to survey the situation yesterday (3-4 days before Sandy was due to strike). His first impulse was to check the mooring pendants, take the mizzen down, and clear away any loose junk, but -- Bligh that he is -- he soon had the crew stripping all the sails off the boat. "You can never be too careful," he said. The crew grumbled, but got to work. It's important for the crew to respect the captain. The Blue Moon is rigged with 149 bits of rope, each one cut to a certain length, some of them with thimbles on one end, or a soft eye, or even a block spliced in. Last year the crew forgot to label each one of these lines and they had a devil of a time this spring figuring out which one went where, so the Captain stood by to make sure each line was carefully labeled as it was taken off the boat. Many of these lines are going to be re-done this winter as we switch our cordage from Hempex to Posh, but that is another story. More on that some other time. After a whole lot of work, the Blue Moon was stripped for battle. And for winter storage, I guess. I'd hoped to get in a few more sails, but it takes so long to put the sails back on properly, I think Helena and I will have to be content with motoring out to Lloyd Harbor, or whatever, for an Indian Summer lunch. At first, I laughed him off -- I was on my fifth coat! Almost done! -- but that night I tossed and turned just thinking of those bubbles. 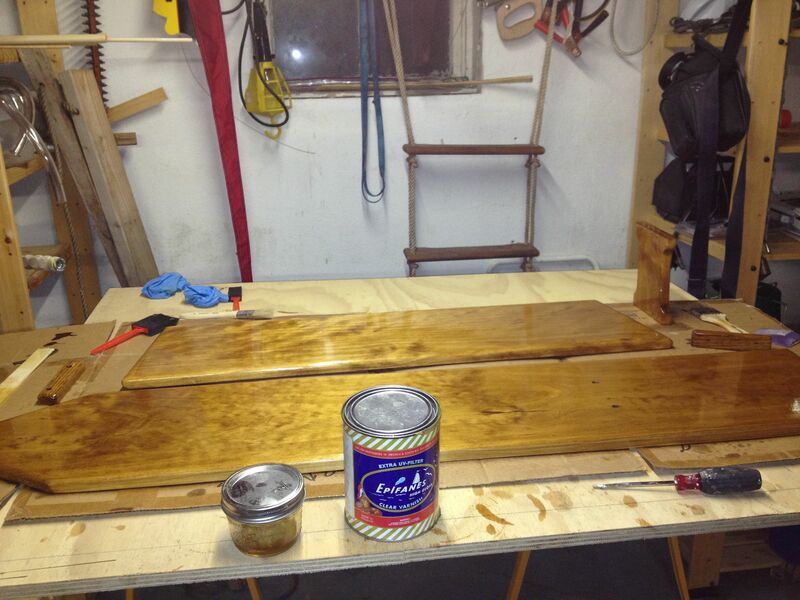 The next morning, I sanded most of the varnish off, and started again. Steve blamed the foam brushes I was using. I'm not sure he's right, since my varnish bible highly recommends them, but I switched to brushes and I must admit it looks better. No bubbles. I can't explain it. I've been using the cheap, disposable brushes you can buy by the bag at the discount store. The ones that leave 145 hairs per square inch in your varnish, unless you know Steve's trick: comb them. Yes, take any old comb and vigorously comb the cheap brush until the hairs stop falling out (a few seconds.) This trick seemed too simple to be true, but it seems to work. I've done 2 coats with these cheap brushes and not a hair to be seen. A good trick to remember. I just need to cover the basement window wells that always collects too much water when it rains really hard. Just going to slap a 4x4 hunk of plywood over it and weigh it down with a few cinder blocks. Otherwise, I think I'm ready. Well, few have actually ever said this to you. 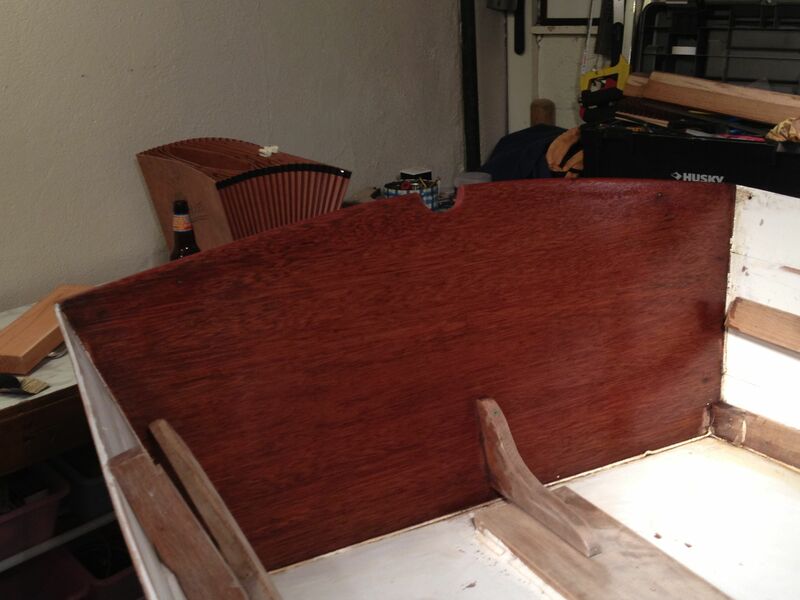 But you go have a good lookin' transom.